Sprint losing subscribers despite the Palm Pre | BlackBerry Blast! Sprint announced its second quarter results today and the nubmers don't look good. 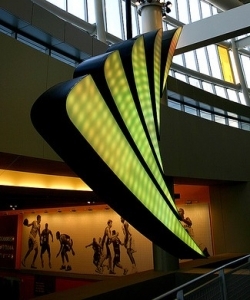 Despite having the exclusive on the Palm Pre, Sprint lost 257,000 subscribers and posted a net loss of $384 million. "In the second quarter, we made further progress on our efforts to enhance financial stability, improve the customer experience and reinvigorate the brand," said Dan Hesse, Sprint Nextel CEO. "The widespread visibility surrounding our record-breaking June launch of the Palm� Pre� handset gave us an unprecedented opportunity to showcase these improvements to customers as �a new Sprint.�"
"In the quarter, we saw the best retail net add performance in the past seven quarters. We also saw the best quarterly sequential change in CDMA net add performance in two years, ARPU that has been stable for six consecutive quarters, continued prepaid growth, and improved sequential Adjusted Operating Income Before Depreciation and Amortization* (Adjusted OIBDA)," Hesse said. "However, we are not satisfied that we lost a quarter of a million customers in the quarter."